A detail in last September's New Yorker profile of Mark Zuckerberg likely struck many readers as odd, odder even than the many other eccentricities of one of the world's wealthiest men. Zuckerberg, writer Evan Osnos discovered, is obsessed with Augustus Caesar. The Facebook founder's wife accused him of bringing the emperor along on their honeymoon in, obviously, Rome, and the couple named their second daughter August. Having studied Latin in high school—it's like coding, Zuck said—he dove deep into Roman history and eventually found himself clinging, like the Roman people, to Julius Caesar's heir amidst the chaos of the city's civil wars. Osnos quotes Zuckerberg: "You have all these good and bad and complex figures. I think Augustus is one of the most fascinating. Basically, through a really harsh approach, he established two hundred years of world peace." Not oratory, but interesting. It has not been long since such familiarity with Roman history by American elites was normal, even expected, when there was nothing odd about this country's wealthiest and most powerful thinking much and often of that predecessor republic, especially its decline and end. Of course the architects of our Constitution made free reference to Rome's regime and res publica in their public debates over what would be this country's new order for the ages. And Federalists and anti-Federalists alike wrote under classical pseudonyms. But even an American aristocracy of more recent times, such as that epitomized by the late George H. W. Bush, was taught to look back to Livy and Tacitus for lessons and examples. History was known to be the school of statesmen, and John and Bobby Kennedy were like the Gracchi brothers, beloved by the people and struck down. If that analogy isn't clicking, Edward J. Watts's Mortal Republic: How Rome Fell Into Tyranny is for you. Watts, who teaches at the University of California in San Diego, is obviously concerned by the parallels he sees between the United States and republican Rome. A preface and closing paragraph reveal a man with political fears and opinions, but the book itself is a work of popular history and not commentary. Though clearly shaped by the present-day priorities of its author in its emphases and interpretations, it is more shaped by his effort to write good and readable history. Watts succeeds at that. Fitting 500 years in fewer than 300 pages, the historian tells a story of liberty won and lost. But though he has not written his own version of Machiavelli's Discourses on Livy, imitating the Roman historian rather than the Florentine theorist, it is apparent Watts wishes his work to be similarly used to reflect upon and buttress republican liberty. I believe it is necessary to follow the political organization of Rome and not that of other republics, because I cannot believe it is possible to find a middle way between the one alternative and the other, and it is necessary to tolerate those enmities that arose between the people and the senate, taking them as a disadvantage necessary to attain Roman greatness. 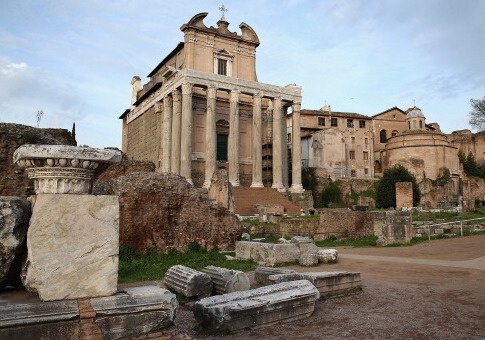 This new Rome saw its economy increasingly financialized, as trade, conquest, and tribute became standard sources of new wealth, accessible first and foremost through military success. The movement of money and people across borders—and Rome's growth into the largest city on earth—put a premium on Roman citizenship, with its voting voice in deliberations shaping the world and creating new entitlements. Resentment of selfish and incompetent aristocrats (and ambitious outsider politicians sensing opportunity) created an increasingly intense series of populist moments and elite backlash. Class traitors and loyal blue bloods alike wielded the bought loyalties of mob and military to advance their legislative and personal interests and ascend the ranks of titles, wealth, and prestige. When rivals subscribed to a traditional currency of honor and public religious standards, the republic seemed still to work. But when personal ambition abandoned the old rules, the results were chaos and violence. This was, of course, a Mortal Republic. Its doom is assured to us, fixed in time, the empire approaching inexorably. As bit by bit personal ambitions and public incompetence broke the careful balance between the Senate and people of Rome the central government became so weak as to be reliant on the private wealth and influence of individuals, such as Sulla and Pompey and Crassus and Caesar, to keep things running. Foreign allies and business conglomerates became clients to these men, and not to Rome, and support from abroad became decisive in the city's elections and legislative deliberations. When rivalries broke out into urban violence or full-scale civil war the path to power was simple: Whoever could restore a facsimile of normalcy, who could harness nostalgia for a stable moment and guarantee the soldiers would be paid on-time and entitlements would be funded, that there would be food for most and property would be preserved—their autarchy would be, at least for a time, forgiven and ignored. Watts writes, "Caesar understood intuitively that his long-term survival demanded that he become utterly indispensable to the smooth operation of Rome and its empire." Caesar died because some senators thought they could restore Rome's glory without him. The return to civil war that followed proved them wrong, and Augustus did not let that go to waste. Watts's history, made tidy by distance in time, reminds readers how fragile republican government is, how quickly elite interests can leave behind the common people, how desirable a tyrant can be in the midst of real dysfunction. In the untidy medias res of the present, Rome's story also seems to suggest that, even in a republic, there may be little those not among the elite can do about the danger and instability inherent to that. For the Cold War's WASP civil servants, for the young Hamiltons and Madisons of the Revolution, for Niccolò Machiavelli, it was useful to know Rome well. What of today? Zuckerberg? What has he learned from the birth and death of a republic?